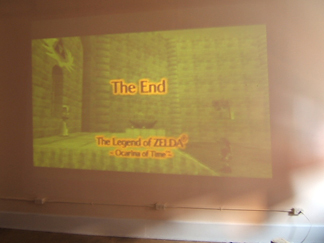 Liz Solo and the Ocarina of Time is a durational Installation/Performance Piece involving the popular Nintendo game The Legend of Zelda – Ocarina of Time. 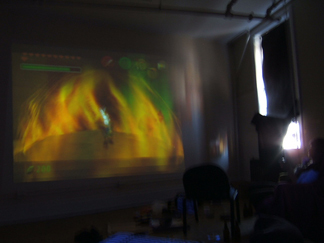 The game is projected large (8.5 X 12 feet) in the presentation space. The Artist plays the complex problem-solving game without stopping until she has destroyed Ganon, the final dungeon master. 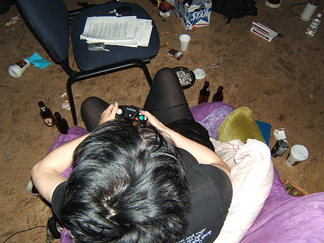 music, dance, DJ or hang out and play the other video games set up in the space. 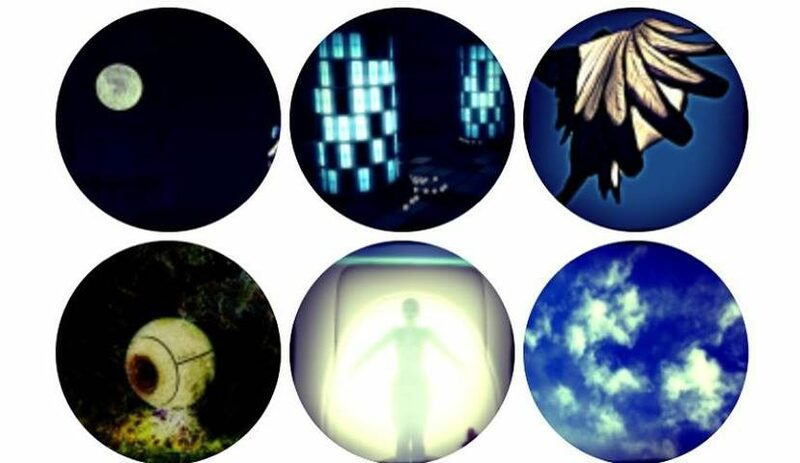 The playing of the game becomes a social event, the large scale projection gives both the audience and the Artist a sense of immersion in the experience. 2) remembered that you ALWAYs go to the trouble of getting the Biggoron Sword otherwise you will be stuck with defeating Ganon with the Megaton Hammer. 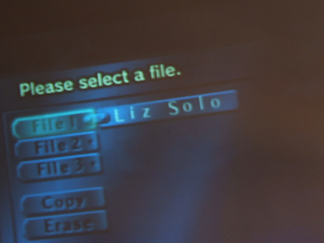 Liz Solo and the Ocarina of Time – was first presented in 2006 by Edge Intermedia and Liz Solo at the Edge Intermedia Lab in downtown St. John’s.